Our media and society have demonized a few roles like that of a stepmother, mother-in-law, paternal aunt (phopho) etc. by depicting them as characters possessing negative traits and evil intentions. We have all seen a plethora of Pakistani soaps and dramas based on the cliched story line of an evil mother-in- law oppressing her innocent daughter-in-law to comprehend that a mother and a mother-in-law do not and cannot hold the same leverage. 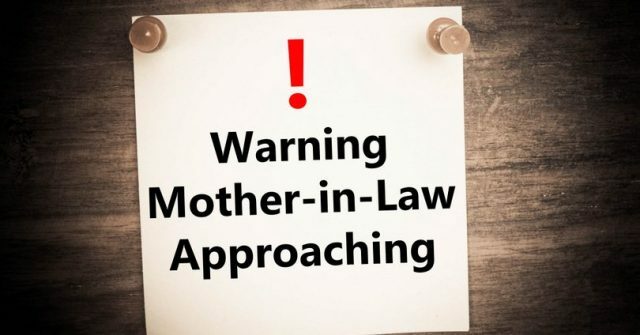 Being an avid viewer of family soaps, I held the same perception about mother-in-law (MIL) until I came across someone who not only theoretically but also practically demonstrated that it is not necessary for a MIL to be a villain in every story. Can you guess who that someone was? She was none other than my own MIL. Letting me sleep to my heart’s content. Unlike typical MILs, she never wakes me up from my deep slumber until I wake up myself nor does she disturbs me unless there is a genuine need. Her ‘polite way of addressing me’. She always calls me ‘beta’ before asking me to do any chore. Also, when I’m done with it, she thanks me for doing it. Moreover, she often applauds me in person, if I have done something extraordinary like when the food that I have cooked turns out to be more delicious than usual. At times, she also praises me in front of other relatives which not only boosts my confidence but also raises the level of respect that I hold for her. She never stops me from going anywhere whether it’s my parent’s house or a meet-up with friends. Her simple rule is that just inform me before going anywhere you wish to go. Her helping hand. She helps me in every way she can and never burdens me with chores I can’t manage to do. For instance, when I am busy making preparations for food, she assists me by chopping vegetables for salad. Her quiet nature. She doesn’t talk much nor is she ever interested in gossiping about others. Whenever free, she plays word games or watches videos on her tablet. Her problem solving skills. She doesn’t aggravate rifts between me and my husband. Whenever there is a clash between us, she intervenes to resolve it and never uses any opportunity to mislead us against each other or to create any sort of misunderstanding between us. Her free hand. She never imposes work on me rather she tells me beforehand to do the assigned work whenever I get free. Besides, she never coerces me to accompany her to her relatives’ house or anywhere else. Her patience. She always remains calm and cool. The moto of her life is ‘to live and let live.’ Whenever I do things in contradiction with her instructions, she counsels me over it so that I do it right next time but never rebukes me. By praising my mother-in-law in this blog, I do not mean to say that all MILs are lily-white, while their DILs whine about their bad behavior out of hatred for them. I am just trying to establish that for every one devilish MIL, there are ten more who are blameless and hold nothing but love for their daughters-in-law. They must receive their due commendation.